OTTAWA, ON, MARCH 22, 2019 - On Tuesday, March 19th, Finance Minister Bill Morneau released the Federal Government's 2019 Budget in the House of Commons. Titled Investing in the Middle Class, the Budget announced significant new investments in moving Canada to a cleaner energy future based on renewable power and smart technologies. "Our sector applauds the Government of Canada's continued investments in energy system transition - in particular in the deployment of clean, renewable resources like solar power," remarked John Gorman, President & CEO of the Canadian Solar Industries Association (CanSIA). "The benefits of these investments will span far beyond the businesses and homeowners eager to embrace solar energy. They will extend throughout our entire economy and will create skilled trades jobs for generations." Particularly notable investments include $1.01 billion to increase energy efficiency in residential, commercial and multi-unit buildings, including via the deployment of distributed generation; $300 million for zero-emissions vehicle purchase incentives; $2.2 billion in additional infrastructure funding for communities, including for community energy systems; support for planning efforts by jurisdictions looking to advance clean energy projects; and actions to help smooth Canada's transition away from coal-fired power. As noted in Budget 2019, Canada's First Ministers agreed in December 2018 to develop a framework for a clean electric future of reliable and affordable electricity. The measures announced yesterday are a good step forward, but more work remains ahead. CanSIA and its member companies are committed to supporting the process as Canada moves towards a more sustainable energy future for all. To access the full budget document, click here. 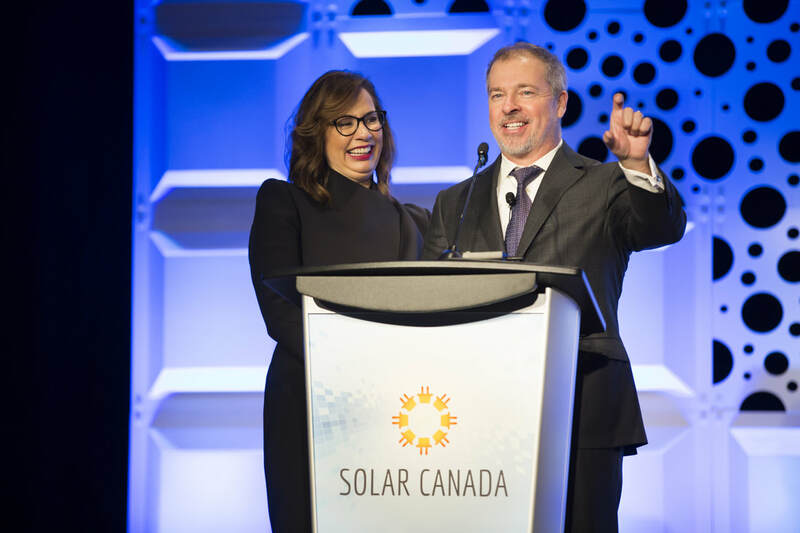 The Canadian Solar Industries Association (CanSIA) is a national trade association that represents the solar energy industry throughout Canada. 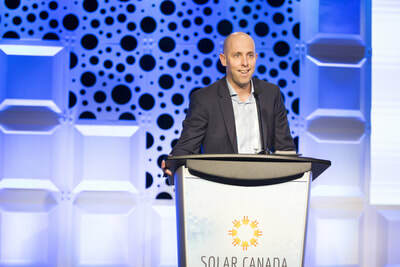 CanSIA's vision for Canada's solar energy industry is for solar electricity to be a mainstream energy source and an integral part of Canada's diversified electricity mix by 2020, operating in a supportive and stable policy and regulatory environment within a similar time frame. Follow CanSIA on Twitter and Facebook. CALGARY, AB, FEBRUARY 15, 2019 - Three new solar electricity facilities to be built in south eastern Alberta (Canada) have been selected through a competitive process to supply the Government of Alberta with 55 per cent of their annual electricity needs. The facilities will be built near Hays, Tilley, and Jenner, by Canadian Solar with Conklin Métis Local #193 as 50-percent equity owners. The Government of Alberta’s operations have been powered 100 per cent with wind electricity since 2007. Upon the expiration of some of these contracts, they have been renewed to switch from wind to solar energy. The average contract pricing will be $0.048 per kilowatt hour (3.6 cents/kWh USD), which is less than the average historical wholesale power pool price paid to natural gas-fired electricity in the province in years 2008 – 2018. “This price discovery is monumental for the solar industry in Canada” said Patrick Bateman, CanSIA Director of Policy & Market Development. “At less than five cents per kilowatt hour, this solar electricity has a cost that is less than that of natural gas. Achieving Alberta’s legislated 30 per cent by 2030 renewable electricity target just became a whole lot cheaper!”. The contract price of 4.8 cents/kWh CAD to be paid by Alberta Infrastructure for this solar electricity represents a lower Levelized Cost of Electricity (LCOE) than the average annual wholesale price paid by the power pool to combined-cycle and single-cycle natural gas-fired electricity generation which was 7.1 cents/kWh and 11.2 cents/kWh respectively from 2008 - 2018. Alberta receives more hours of sunshine than Miami, Florida in the summer months. Alberta’s electricity supply is most strained in summer when high temperatures increase the resistance of the distribution and transmission systems, and reduce the efficiency of cooling thermal power plants. For this reason, solar facilities sited near to electricity demand improves overall grid efficiency. Supply shortages are atypical in Alberta in winter when solar energy is least available. When they do occur, imports are increased and large loads are decreased. In 2018, Alberta’s solar electricity generation exceeded 50 MW. 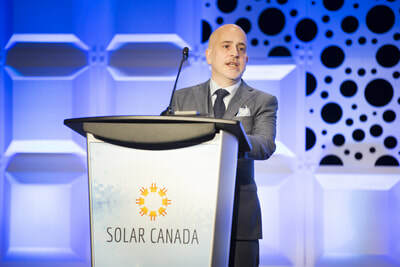 While representing much less than 1% of the province’s electricity supply today, the Canadian Solar Industries Association (CanSIA) forecasts that solar energy could supply as much as 3 per cent of the province’s electricity by 2030. 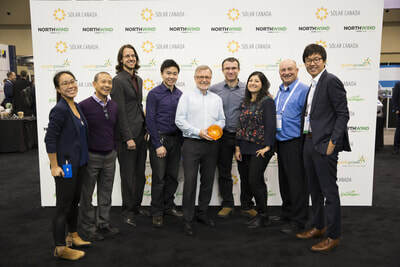 A recent supply chain study of the solar electricity sector in Alberta by Solas Energy Consulting Inc. found a potential of $4.1 billion in market value and a labour force rising to 10,000 in 2030. TORONTO, ON, NOV 29, 2018 – Earlier today the Government of Ontario released a Made-in-Ontario Environment Plan that will help drive significant investment in Canada's clean technology sector. The plan will support and maintain Ontario’s renewable energy cost-competitiveness and create jobs in the skilled trades. Solar energy is a core part of this plan – encouraging businesses across Ontario to invest in clean technology to stay competitive and reduce their emissions and energy bills. Ontario’s decision to parallel recently announced federal changes to tax policy and depreciation for clean energy equipment will enable businesses to defer income to later years, supporting investments in technologies that produce clean energy or that displace fossil fuels. The government will also create The Carbon Trust, incenting private sector investment in solar energy, battery storage, electric vehicle charging infrastructure, and other clean technology solutions. Ontario is taking a major step forward today in supporting businesses that invest in clean technology and lower energy bills. Ontario’s solar industry continues to urge the government to go further – cutting the red tape that is preventing individual homeowners from accessing third-party financing to install solar on their rooftops. With no subsidy from government, these changes empower families and homeowners to lower their energy bills and will create thousands of new jobs in the skilled trades. The entire Made-in-Ontario Environment Plan can be read here. The Canadian Solar Industries Association (CanSIA) recognized outstanding achievements in the solar industry at the sixth annual Game Changer Awards, hosted at Solar Ontario 2018 on November 14th. The awards recognize the excellence of the many individuals and organizations that have helped the solar energy industry mature by pursuing the path that will lead us to an even brighter future. Click here to view nomination details. Partnered with CanSIA, Women in Renewable Energy (WiRE) presented the Woman of Distinction Award for Solar to Richa Pandey, Principal Scientist, Ubiquitous Energy. 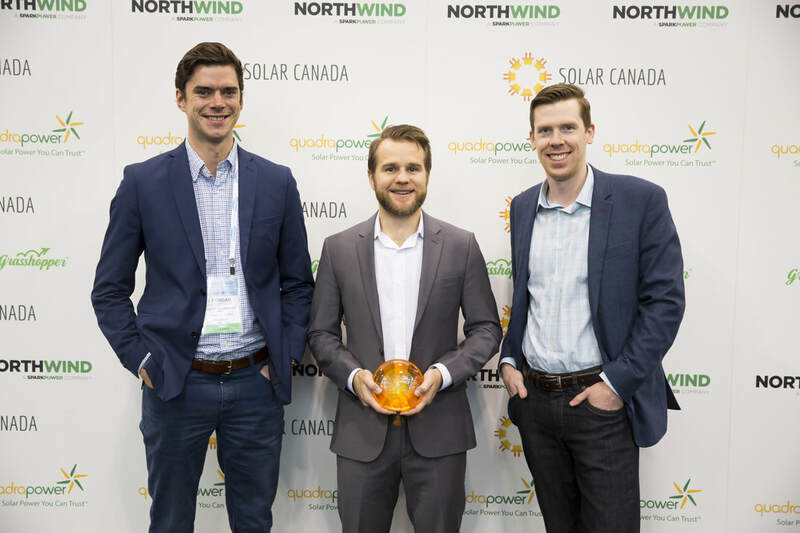 The ambition, energy and creativity of the Canada’s young solar professionals ensures our industry continues to move upward. 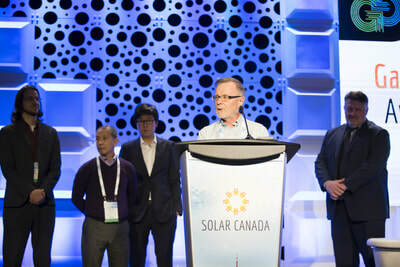 ELSE’s Emerging Solar Leader award celebrates those new to our industry whom have contributed significantly to solar in 2018 and show promise to continue on as future leaders. ​After receiving many Emerging Solar Leader applications, ELSE awarded Darby McGraw. Today the Ontario government announced the cancellation of 758 renewable energy contracts. The vast majority of the contracts (over ninety per cent) are small, rooftop contracts owned by farmers, schools, municipalities and First Nations. Any savings to Ontarians’ hydro bills attributed to the cancellation would be negligible. The move to cancel the small, renewable energy contracts—also known as FIT contracts—further undermines investor confidence in Ontario’s energy market. CanSIA estimates that half a billion dollars of planned investment will leave Ontario as a result and forecasts loses of 6,000 jobs in the province. For more information, please contact Isabel Payne at isabel@cansia.ca. Today, the Government of Ontario announced the appointment of the Honorable Greg Rickford as Ontario’s new Minister of Energy, Northern Development and Mines, and Minister of Indigenous Affairs. The Canadian Solar Industries Association (CanSIA) welcomes the opportunity to support Minister Rickford in fulfilling the government’s commitment to lower electricity bills for Ontario families, businesses and its diverse communities. CanSIA welcomes the opportunity to bring forward its recent research and recommendations for streamlining Ontario’s legacy regulatory and policy framework as a means to helping Minister Rickford deliver on this government’s intention to find cost-efficiencies in the electricity sector. “Removing regulatory barriers and recognizing the value of technologies that put control in the hands of the consumer is the best way to save money,” said Gorman. On behalf of the solar industry, CanSIA would like to again welcome Minister Rickford to Ontario’s electricity sector and we look forward to working with this government to unleash its full potential for Ontario consumers. OTTAWA, CAN, May 1, 2018 - The Ontario Minister of Environment and Climate Change, Chris Ballard, has announced a new solar energy and energy storage program which will run through the Green Ontario Fund. This new program allows homeowners and business owners to access funding making solar energy and energy storage systems more affordable, thus empowering them to generate their own electricity and better manage their energy usage. All this, while helping to fight climate change and transition Ontario towards a clean energy and innovation economy. Approximately $90 million has been designated towards this program, which is expected to launch this summer. 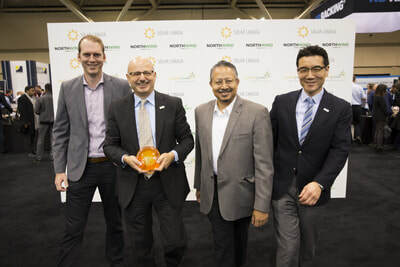 It will further build upon Ontario’s climate leadership and its solar success story, which not only created over 5,000 local jobs, but also continues to make the province a global leader in solar. 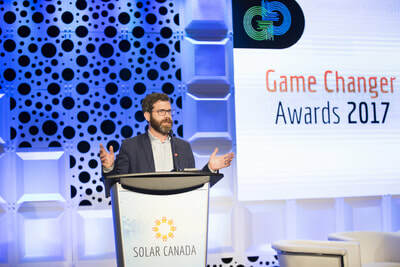 “The Ontario government has demonstrated its commitment to both creating jobs and a cleaner environment with the announcement of this new solar energy and energy storage program,” explained Thomas Timmins, Chair of the Board of Directors of the Canadian Solar Industries Association (CanSIA). “Ontario electricity consumers have clearly signaled they want to save money on their electricity bills. With this new program, Ontarians can affordably access innovative solar and energy storage solutions to achieve lower energy costs,” remarked Wesley Johnston, Vice President of CanSIA. Interested homeowners and business owners are encouraged to register online to receive updates regarding the solar energy and energy storage rebate program, including when qualified contractors have been confirmed. To learn more about the GreenON Solar Energy and Energy Storage Program please visit www.GreenON.ca. Ottawa, Ontario, February 28, 2018 - The Federal Government continues to build on Canada’s national climate action and clean growth efforts with the proposal to extend the Accelerated Capital Cost Allowance (ACCA) for energy efficiency and clean energy technology by five years in the Business Income Tax Measures in Federal Budget 2018. ACCA is an important tax policy previously scheduled to sun-set in 2020 that enables businesses who make investments in technologies such as solar energy to defer taxation to later years thus enabling them to better manage their energy costs and encouraging them to make lower-carbon investments. 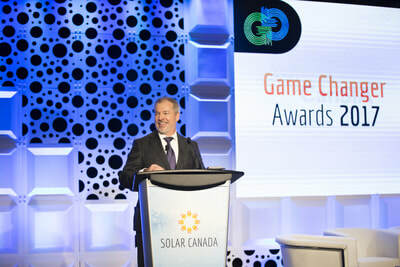 “The extension of this important provision will provide certainty for the clean energy sector and a clear signal that the Federal Government remains committed to supporting Canada’s transition to a lower-carbon energy future” said John Gorman, President & CEO, Canadian Solar Industries Association (CanSIA). 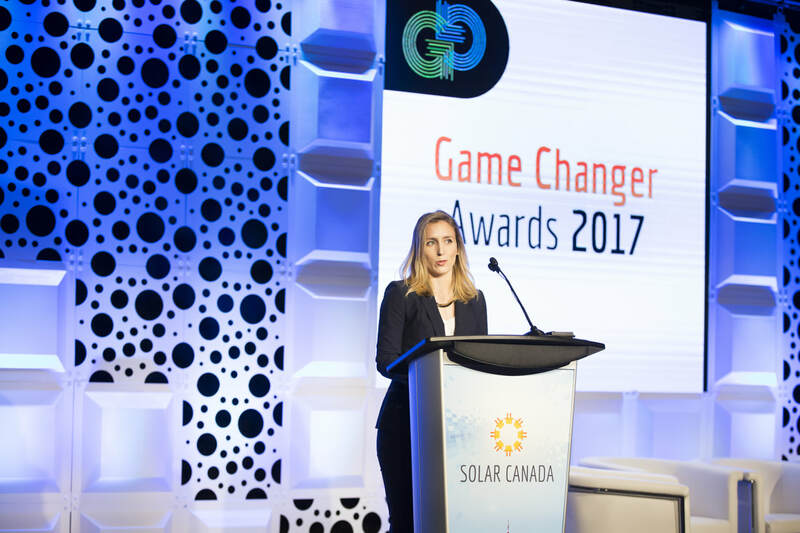 The Canadian Solar Industries Association (CanSIA) recognized outstanding achievements in the solar industry at the fifth annual Game Changer Awards, hosted at Solar Canada 2017 on December 5. 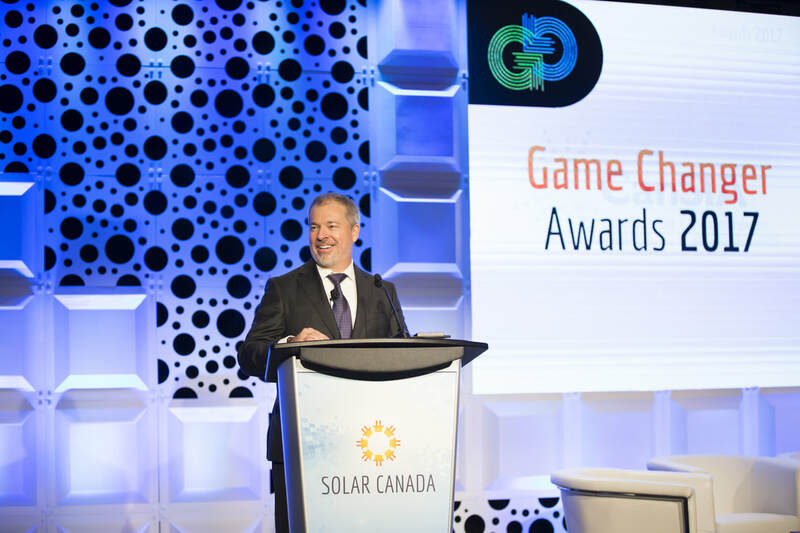 The awards recognize the excellence of the many individuals and organizations that have helped the solar energy industry mature by pursuing the path that will lead us to an even brighter future. Partnered with CanSIA, Women in Renewable Energy (WiRE) presented the Woman of Distinction Award for Solar to Janice Ashworth, General Manager at the Ottawa Renewable Energy Co-operative. All nominees are evaluated on their merits of excellence in leadership, advocacy, research and development, community engagement and efforts to increase the adoption of solar power technologies. 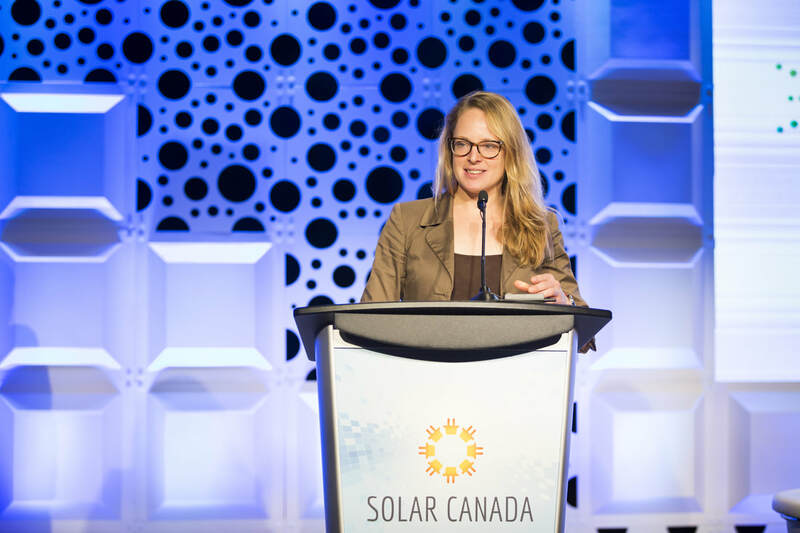 ​“Janice’s valuable contribution to her community and to the solar sector more broadly is clear,” said Rebecca Black, WiRE Co-Founder. “She represents the leadership that we need as we transition to a sustainable energy future, driven by strong diverse perspectives”. The ambition, energy and creativity of the Canada’s young solar professionals ensures our industry continues to move upward. ELSE’s Emerging Solar Leader award celebrates those new to our industry whom have contributed significantly to solar in 2017 and show promise to continue on as future leaders. 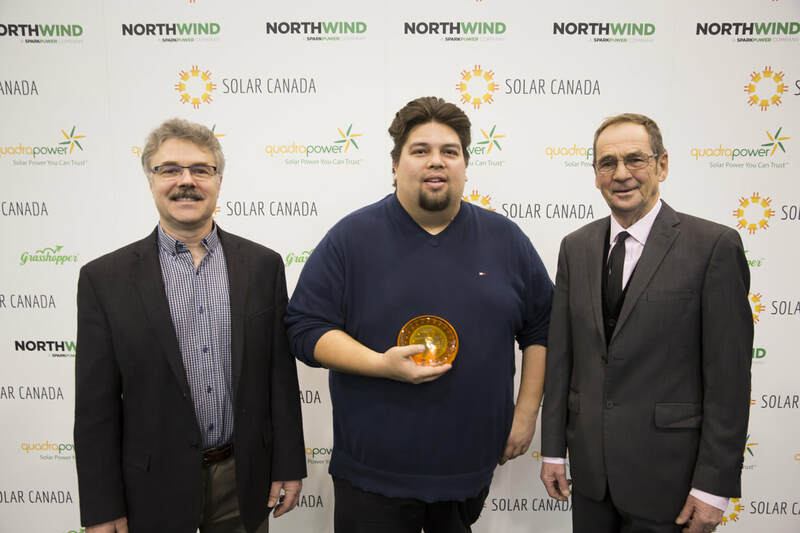 ​After receiving many Emerging Solar Leader applications, ELSE awarded Alexander Palkovsky. Alexander started his career in the solar energy industry in June of 2015 with Solar Flow Through Funds ("SFF") after finishing his undergrad studies at the Ivey School of Business. Over his two years and half years with SFF, Alexander brought 31 commercial rooftop projects from FIT contract award to COD, financed nearly $50MM of small FIT projects, and led SFF through the development of the company’s first portfolio of ground-mount projects to a construction-ready stage. By the end of 2017, this aggregate portfolio will amount to nearly 15 MW of solar energy capacity added to Ontario’s electrical grid. Alexander has recently joined Brookfield Renewable.